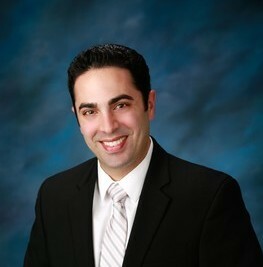 Dr. Shadi is a talented and respected oral surgeon and an asset to our growing list of experts. Dr. Shadi grew up in the West Los Angeles area and received his B.S. degree in neuroscience from UCLA with College Honors. He then attended Ostrow School of Dentistry of USC, where he was regularly on the Dean’s List and received the John Ingle Research award in 2009. After his dental training, he completed an Oral and Maxillofacial Surgery Internship at the Veterans’ Affairs Hospital in Long Beach, California. Dr. Shadi completed his residency in Oral and Maxillofacial Surgery at the University of California San Francisco-Fresno. If you’re interested in wisdom teeth removal, sedation dentistry, implant placement, full mouth rehabilitation or any of our oral surgery services please contact our North Hollywood, CA, dentist’s office at 818-763-9353 or use our easy online scheduling form.